Progress bars generally depicts the progress of any running task over time. In simple words, they are one of those filling bars that fill itself upon completion of a task. 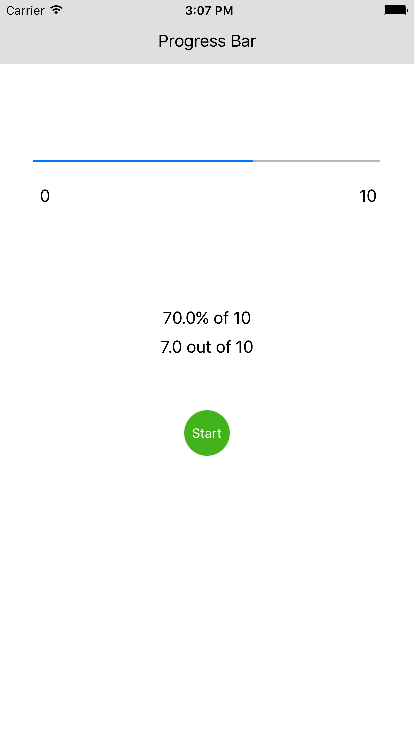 The custom progress bar, on the other hand, can be easily implemented using UIProgressView interface component. 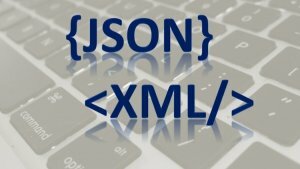 For instance, the custom progress bar can used for any iPhone app development project that include displaying the tasks like downloading, uploading, or notifying people that a task is running, how much is remaining, and how much is completed. 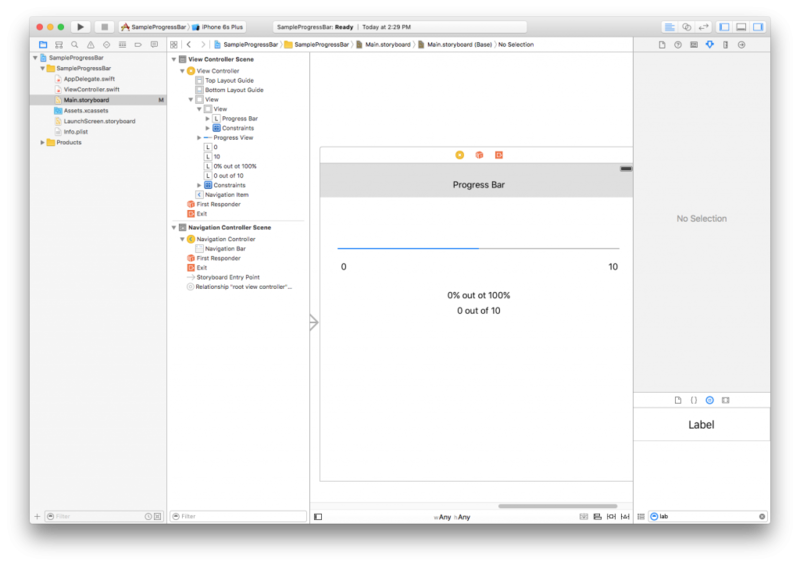 And in our today’s iOS app tutorial, we’ll build a simple app to demonstrate the custom progress bar implementation process. 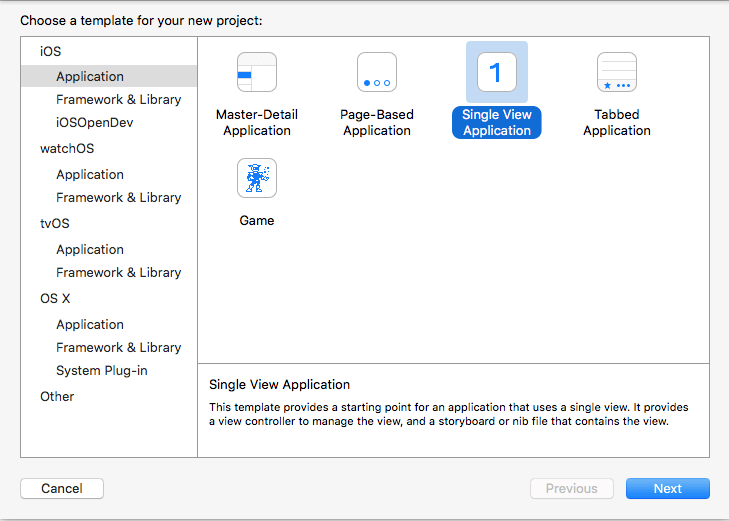 Select Single View Application as a project type and click next. 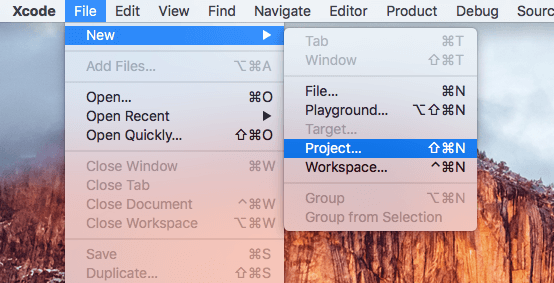 In the next tab, write your project details. 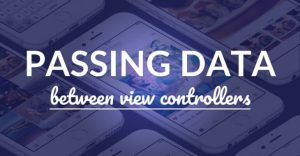 Once you create a new project successfully, go to Main.storyboard and select ViewController. Now drag and drop UIProgressView from “Show the object library” section. @IBOutlet weak var lblPercentage: UILabel! 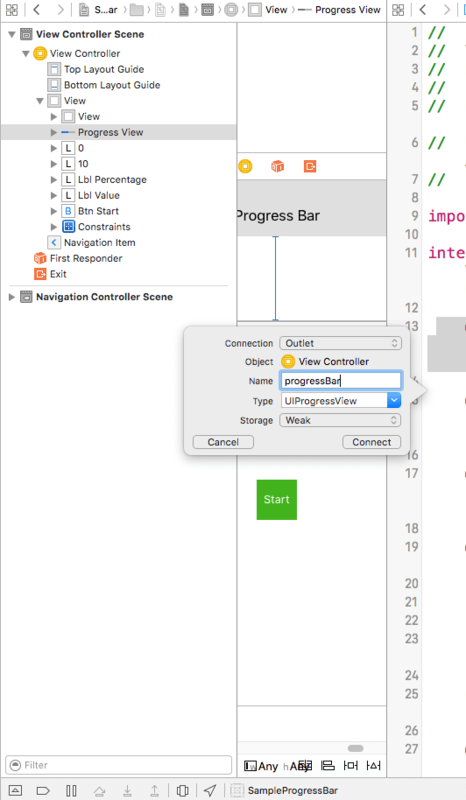 @IBOutlet weak var progressBar: UIProgressView! @IBOutlet weak var btnStart: UIButton! @IBOutlet weak var lblValue: UILabel! 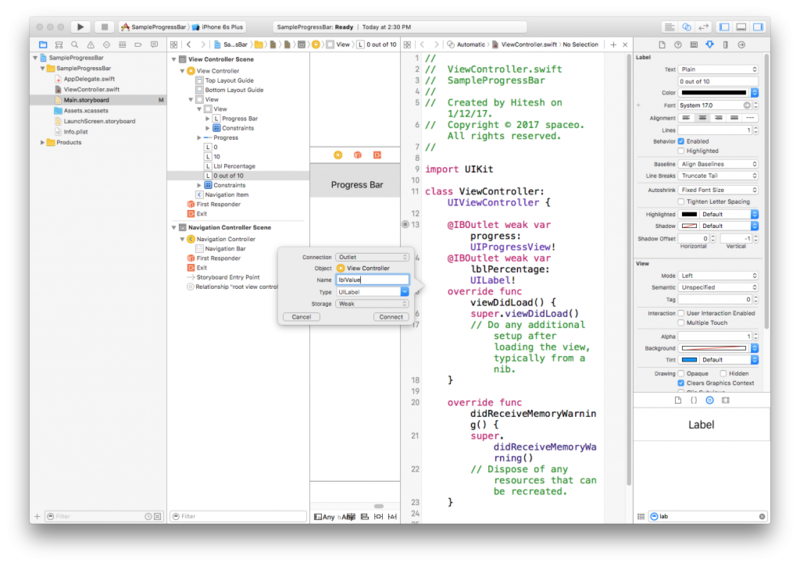 You can do the initial setup for UIProgressView from Attribute inspector like tint color, progress color, image, initial value etc. Add a timer and time variable for update progress bar with NSTimer. Set start button to show progress of UIProgressView. 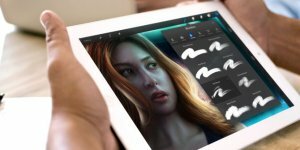 lblPercentage.text = "\(progressBar.progress*100)%"+" of 10"
lblValue.text = "\(time)"+" out of 10"
Progress View will update during the call of “setProgress” method by timer. 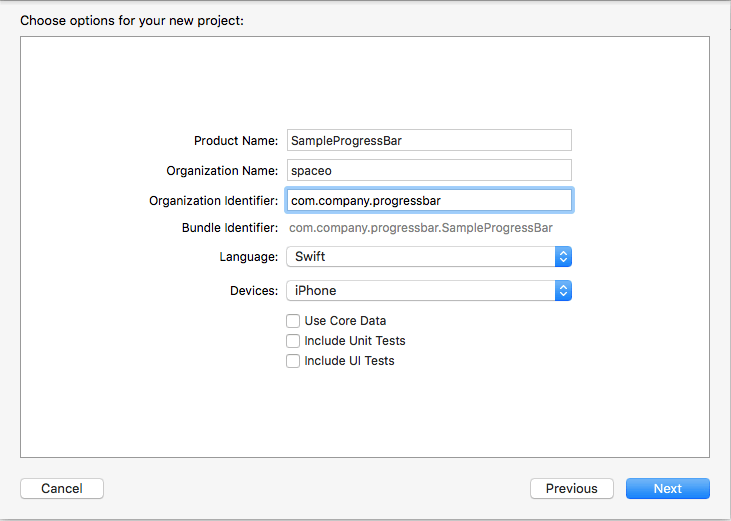 So now that you know the implementation process, you can start implementing it in your iphone app project. 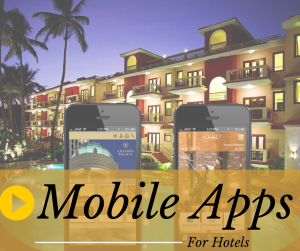 Though, it’s also possible to use this feature for various other jobs, but if you’re just starting out or an Entrepreneur, consider taking expert opinion or hire iphone app developer to build your iphone app. 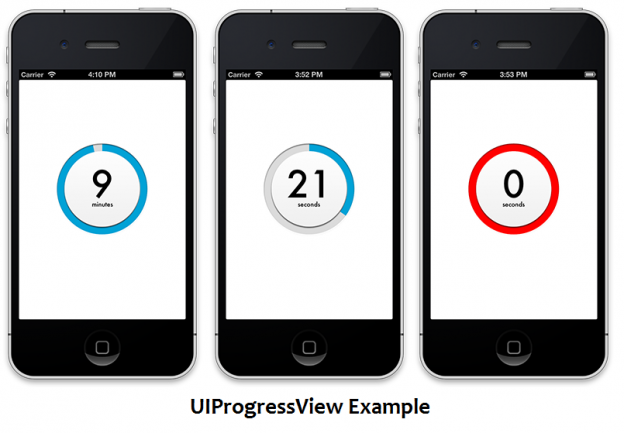 Grab a free copy of UIProgressView example demo from Github. This page was last edited on July 5th, 2018, at 3:50.